Swelling and pain in the knees can be the result of physical overexertion, practicing bad habits or an injury. This mixture of oil and Himalayan salt combines the anti-inflammatory properties of both ingredients. The result? A unique, ideal product that will relieve knee pain. Many people ignore knee pain. But, these joints are quite complex and tend to suffer trauma. Often, this is due to their lack of cushioning. Though joints are protected by ligaments and tendons, there are many factors that accelerate their wear. And, these factors can lead to inflammatory responses and severe pain. And, although these can be treated with analgesic medications and rest periods, sometimes it is necessary to resort to other treatments to relieve knee pain. Luckily, there are natural solutions that. And, for a low cost, these solutions help to combat ailments without causing unwanted effects. In the next space, we want to share a remedy for external use. And, with just 2 ingredients, it will help to relieve knee pain in a short time. 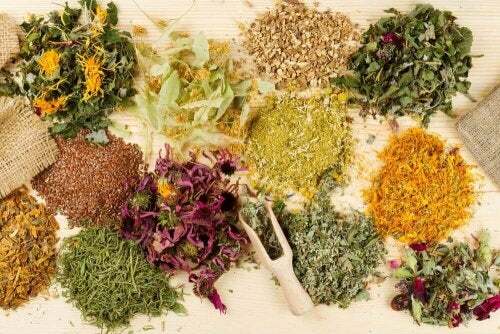 The medicinal combination to relieve knee pain and inflammation is simple. It’s a combination of olive oil and Himalayan salt. These ingredients have anti-inflammatory and vasodilating properties. Thus, after being applied externally, they promote good circulation. Additionally, they support lymphatic system function. In addition, these ingredeients improve the process of muscle and joint oxygenation. So, they reduce the feeling of stiffness. Overall, they relieve knee pain. 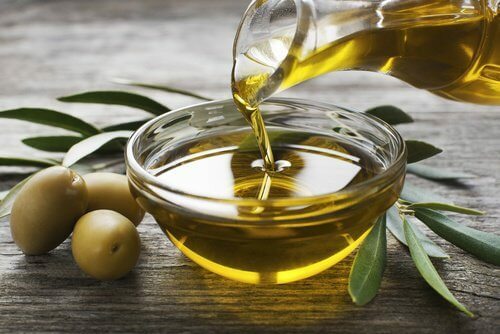 Olive oil is a type of healthy fat. 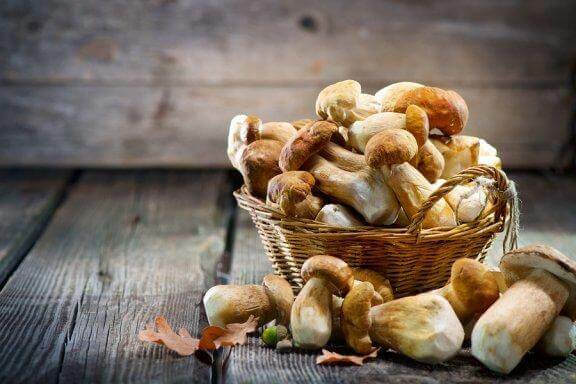 It has a high content of essential nutrients and medicinal properties. Its anti-inflammatory compounds act as muscle relaxants. So, olive oil is ideal for reducing inflammation and the ailments that affect movement. Additionally, its external application offers interesting benefits to circulatory health. It promotes pain relief in the knees and the stressed muscles. What’s more, it is recommended for its mild analgesic effect. And, it is ideal for controlling headaches, neck stiffness and other problems resulting from an imbalance in the level of inflammation. Also, what’s most interesting is that its compounds benefit skin health, lowering the negative action of free radicals and toxins. And, of course, it can relieve knee pain. 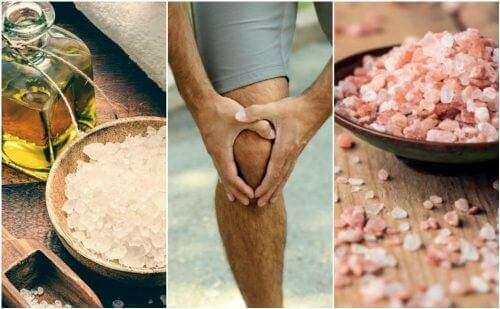 Himalayan salt has become a therapeutic product. It is ideal for reducing the pain of joints and muscles. It contains essential minerals such as sodium and magnesium. And, these minerals act as powerful relaxants when applied topically. Also, its consumption improves the activity of the enzymes. Incidentally, it regulates the electrical and muscular impulses after doing highly physically demanding activities. Additionally, it is attributed soothing and anti-inflammatory properties. By means of massages, these anti-inflammatory properties diminish up to 30% the pain in the knees, back and hands. In turn, its application boosts lymphatic function, promoting the elimination of toxins and fluids that are retained in the tissues. 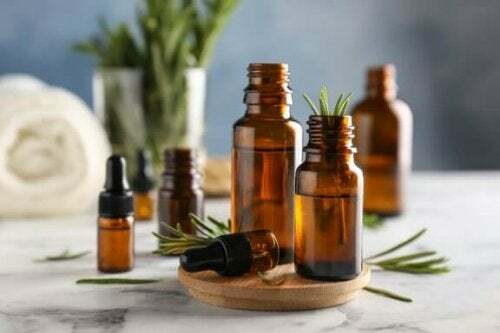 As if all the above was not enough, it is also a natural sedative of the nervous system and serves as a supplement to stimulate the secretion of serotonin. The medicinal combination of olive oil and Himalayan salts is a treatment for external use that controls pain without causing adverse reactions. Sure, it is not a miracle treatment or any such thing. But, its regular application helps to relieve inflammation and mobility problems in the knee. Put the olive oil into the glass bottle and then add the Himalayan salt . Mix the ingredients with the wooden spoon and, after they are completely combined, seal the container well. Put the product in a cool, dark place and let it sit for 8 days. Take a generous amount of the product and rub it over the painful areas. Perform a gentle massage for 3 or 5 minutes and rest. Let the ingredients in the remedy work another 20 minutes and then rinse with cold water. Repeat your application every time you feel pain. If you wish, you can also apply it 3 times a week as a preventive. Are you interested in trying it? It is a different therapy for pain relief. However, its properties are very interesting and effective. Go ahead and discover them! Instituto Nacional de Artritis y Enfermedades Musculoesqueléticos y de la Piel. (2014). Cuáles son los problemas de las rodillas. Nih. https://doi.org/10.1109/CNE.2007.369604. Fito Colomer, M. (2003). Efectos antioxidantes del aceite de oliva y de sus compuestos fenólicos. Tdx.Cesca.Es. https://doi.org/10.1063/1.2939268.